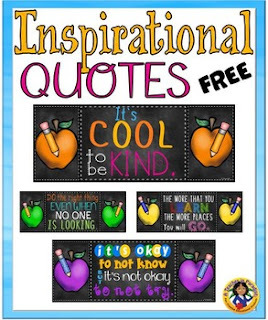 This is a set of 8 classroom inspirational quotes, perfect for your classroom décor in bright apples and pencils designs. The posters can be enlarged on 11x17 paper with great results. Here is the ocean theme version.